Lock in a great price for Casa Angelina – rated 9.4 by recent guests! Amazing location and views. The interior decoration and atmosphere is so soothing and pleasure to the senses. Rooms are super clean. The breakfast selection is great and has a lot of superb varieties. The staff will go beyond their ways to make sure your stay is comfortable and enjoyable. Every aspect about our stay was pleasurable and unforgettable moment. Highly recommend this hotel for anyone seeking at hidden gem and an amazing getaway in Amalfi coast. Beautifully located with ocean views and views of Poisitano from a distance. We loved it was kid free and no crying fussy kids around. The staff was exceptional. Loved how clean the hotel is kept up and the service was beyond exceptional. Will be back again. 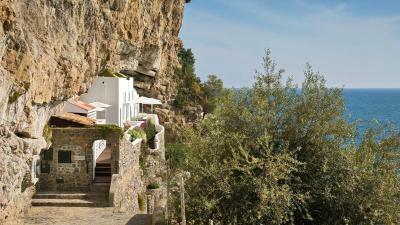 Casa Angelina is a beautiful hotel with gorgeous views of Positano and the amalfi coast. The staff was difficult on some aspects like transportation from Positano town back to hotel in the rain. They wanted us to use their service but wait 45 min and refused to pay the 50 euro for the shuttle we found immediately. It was just the principal for how much we paid nightly to stay. Overall I think the place is a little overpriced for what you get. 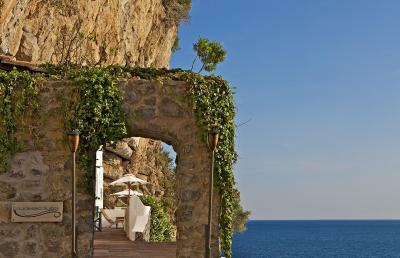 Lots of gorgeous hotels on amalfi. Staff was nice but not really worth the money. I’ll look for somewhere else next time! Eau de Sea experience was superb, mostly Fabio and Lucca prestige attention for all requests, lunch breaks filled with champagne and personal cooking. Room view and proximity to the beach/boat taxis makes the difference if you are willing to explore the sea. Food at Un Piano nel Cielo was an unforgettable experience, worth the price - certainly the best truffle we've had. Staff was very kind, suggested and reserved most of the restaurants and boat tours (Capri). Hotel is modern, chich but very despretensious... nothing exceeds besides the cleanless, great views and relaxing atmosphere. The staff was so kind and welcoming. Very helpful too. They helped us set up some additional excursions as well - private rooftop dinner and private boat to Capri for the day. I booked a car to take us to the airport when leaving with an outside company and booked it for the wrong day by mistake. The hotel fixed my mistake in minutes and set up a new car for us at 4am!! The entire staff made us feel like there was nothing they wouldn’t do to help us enjoy our stay or help!! It’s beautiful! All the art is amazing. Love that we could walk thru the small town. Loved that it was in between Amalfi and Positano. The shuttle was nice (but the times were not great). The food was great and servers and bartenders were lovely. Our second visit. Relaxed elegance. Stunning views. Cool serenity of all white room. Connection to nature. Gorgeous, whimisical art. Wonderful, beautifully trained staff. Best breakfast ever! Fresh, creative, local produce. Arrived excited and left mellow. Special touches to make our anniversary memorable. My husband and I came here for two days while we were on the Amalfi Coast and it was an absolute dream. Although I think the hotel was full when we visited, it never felt crowded and it was always possible to get a lounger chair at the pool. The beach club is also lovely, though not great for swimming or anyone who has problems with stairs. The staff was absolutely fantastic and this was our favorite stay of our trip, even though it was not the most expensive hotel we stayed in. I honestly can't recommend this enough. 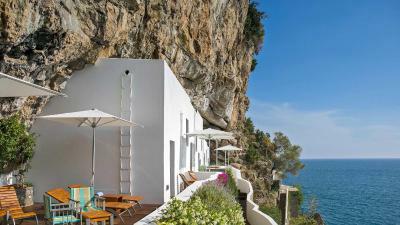 Casa Angelina is a destination by itself in The amalfi coast! Service and staff was beyond expectations, the hotel and amenities was amazing! Will surely recommend this property and can't wait to return to it! Casa Angelina This rating is a reflection of how the property compares to the industry standard when it comes to price, facilities and services available. It's based on a self-evaluation by the property. Use this rating to help choose your stay! A boutique hotel perched on the cliffs of the Amalfi coast, Casa Angelina has all the ingredients for a vacation you’ll never forget. Guests can enjoy the spectacular views from the excellent spa facilities. Modern and effortlessly stylish, Casa Angelina provides top-quality service and beautiful rooms with views of the Mediterranean. Praiano town is close by. You can unwind in the panoramic outdoor pool set on one of Casa Angelina’s terraces, or use the hotel’s glass elevator and then go down 200 steps to the well-equipped beach. The property organizes tailor-made tours on one of its private boats moored on site. Alternatively, you can head indoors for a relaxing spa treatment. Here you can find a heated indoor pool, a sauna and a gym featuring the latest fitness equipment and LCD TV. You can also enjoy massages, take part in Pilates classes or get a beauty treatment. Casa Angelina has a gourmet restaurant serving Mediterranean cuisine on its panoramic terrace. Afterwards, check out Bar Marrakech, the perfect place to sip cocktails and listen to music. Room service is available 24 hours a day. When would you like to stay at Casa Angelina? These larger air-conditioned rooms all have a walled balcony, a sea view and free Wi-Fi.They include a Nespresso machine, a satellite flat-screen TV and a laptop. Featuring sea views from the private balcony, this air-conditioned room also has a satellite flat-screen TV, a minibar and free Wi-Fi. 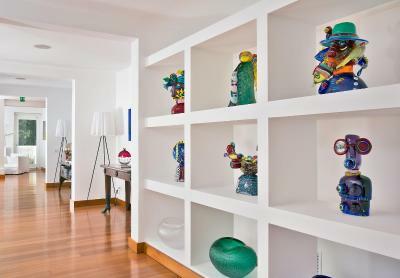 Bright, spacious rooms with large windows and partial sea views overlooking Positano. 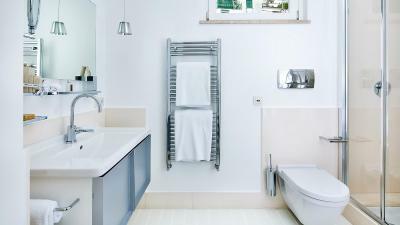 It features a mini-bar, a satellite flat-screen TV and a private bathroom. Wi-Fi is free. This air-conditioned room features sea views from the window or partial sea views from the balcony. It includes a satellite flat-screen TV, free Wi-Fi and a private bathroom. 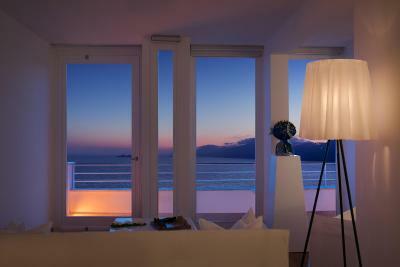 This room is located next to La Gavitella beach. It is accessed via the hotel's elevator plus 200 steps. With a king bed, this air-conditioned room features a satellite flat-screen TV, free Wi-Fi and a private bathroom. The rooms share the outdoor sea-view area, equipped with lounge chairs and sun umbrellas. House Rules Casa Angelina takes special requests – add in the next step! Casa Angelina accepts these cards and reserves the right to temporarily hold an amount prior to arrival. Please note that children cannot be accommodated in the hotel. To reach the beach, you take the hotel's panoramic elevator followed by around 200 steps. The design of the hotel and art work around is just amazing and loved that it’s in Praiano away from the busy noisy roads of Positano. The hotel itself is amazing with views around . No welcome on check in. Charging for mini bar. Not value for money. During Booking reservation the only room available was Eau de Sea, it was not clear to me since I contacted Hotel staff by email and went to Casa Angelina website what was my proper reservation, which means I did not know at that time what were the others fares as compared to Eau de Sea. It is indeed more expensive, you have private service and your room is basically underneath the rocks which is awesome but there are cons, such the umidity from the rocks, lack of more efficient black out system and the inconvenience of 200 steps separating the rooms from Main Building where the breakfast is certainly better in terms of variety and quality. We stayed at the fisherman villages, which are located off the hotel, 200 steps below enclosed in the rocks. Despite having read about the 200 steps before booking it, I have to admit I was not prepared. I discovered later that 200 steps represent around 11 floors. That's a lot. Luckly, you can take a boat to Positano from the hotel's marina, which is a lot fewer steps ($30 bucks one way for up to 4-5 people and the hotel gifts you with 2 free trips). It's much more convenient to go to Positano by boat than going up the stairs to take the hotel transfer or a car. The room is craved inside a rock and has an amazing view, but has this inconvenient. We stayed mostly in our room and didn't use the hotel's other amenities, because of the inconvenient of having to go through all that steps. Also the rocks do make some strange noises during the night (nothing major tough). Absolutely nothing. It was perfection. Slice of heaven. An incredibly thoughtful, beautiful space where the days feel ethereal. The staff are on another level, and nothing is ever a problem. One of the best places I’ve stayed in the world. Top hotel ! High qualified and classy friendly personnel Extraordinary food: breakfast is absolutely amazing and their resto is absolutely michelin star quality Very attentfull and happy surprises during our family stay while celebrating our wedding anniversary and the birthday of our son. Nothing...this hotel really made our whole trip, we loved it. This is a fantastic boutique hotel. The location and the views are spectacular. The interior design of the hotel is beautifully done. The staff were amazingly attentive, helpful and friendly. The food in the restuarant is excellent, and the breakfast was exceptional. the staff were very friendly and extremely well trained. Breakfast was superb with fantastic views. the hotel organised the transport from Naples (recommended) and there shuttle bus service from the hotel to local areas is very useful. There is nothing to dislike. Its heavenly. The views are to die for. The breakfast is by far the best I have had the privilege to enjoy. The staff are friendly, efficient and gracious. I love them all. The rooms are white and fresh and always pristine and again....the view when lying in my bed - breathtaking.